Ofc. Hathaway started his career in law enforcement as a Military Police officer in the ARMY back in 1991. He has been a sworn police officer for the City of Greenville for the pas 16 years. Ofc. Hathaway has worked various position within the police department. Ofc. 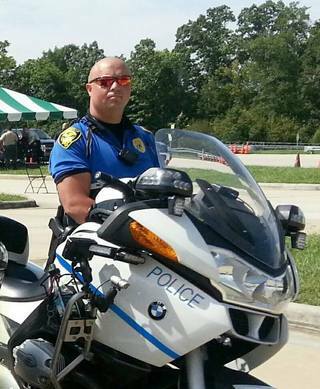 Hathaway became a motor officer in 2008 through the Harley-Davidson/Northwestern motor school. Ofc. Hathaway is a certified instructor with the state and a Field Training Officer for the department.